Utterings of a plan to break into The Duskruin Vault have spread across Elanthia. It's almost time to choose a side. Read on to learn about what's coming! Vaults overflowing? Nowhere to stash that old armor set? Wish you could pass it off to an alt? Good news! We've pushed a new family vault system to DragonRealms Test for you to poke at before a full release! Read on for more details! Hate running around trying to gather your money from this bank or that one? Wish you could pay off your debts on the islands without that boat ride? We're testing out a new BANK verb to help with these woes and more! Read on to join in! The initial phase of the enchanting system is currently in the DragonRealms Test instance and is ready for you to bang on it! Read on for more details! We've hit the ground running in 2019! This year will be full of new and exciting systems, updates, and more, but let's take a moment to look at some of 2018's highlights! The new Rested Experience system is now live in Prime and Platinum, TF soon! Read on for details! Thanks for spending 2018 with us in DragonRealms! Log in before New Year's Day to claim a special prize! Rumors are spreading that Captain Kurmin is preparing his giant mechanical spiders for a return, but TRAGEDY has struck! Read on for more! You can now use the TOGGLE verb to add the location of your death! 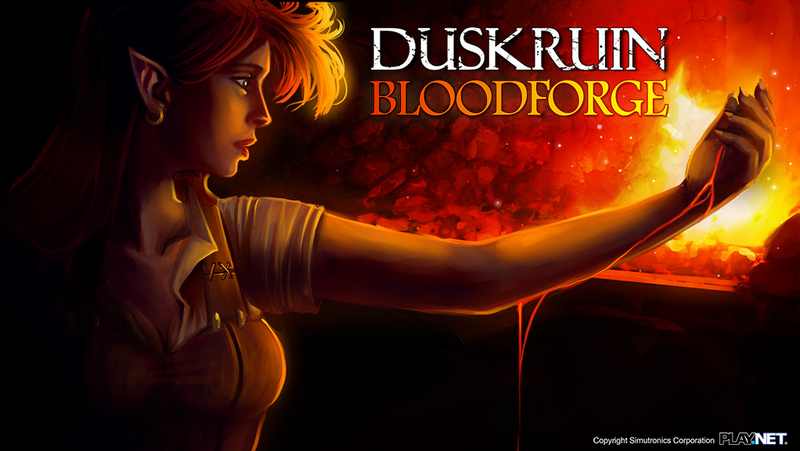 Beginning March 23, 2018, adventurers from across Elanthia will storm Duskruin to compete for power, treasure, and ALL NEW BLOODFORGED ANCIENT WEAPONS OF POWER! After years of travelling the countryside, Droughtman has returned with a devious and exciting adventure for all! Enter the maze with nothing but your wits and a simple survival package -- Pull the levers! Pull the ropes! Find the doors, find the golden key, and then find the white arch and exit the maze victorious! Everyone wins! Even if you don't find a key, you still get a prize from Droughtman's vaults! With studious intensity you gaze at the strikingly vivid amorphous region that currently dominates the vault of the heavens -- that which is known as Chris' Mass. Its glowing ribbons of red and green light burn so brightly that they threaten to obscure the rest of the sky, yet you do not blink, you do not falter. Surely something can be learned of the future in that sparkling display, no matter the failures of those who have studied it before. Spell slots have been expanded for Basic and Premium subscribers now! Deed registers are even bigger for Basic and Premium subscribers now! Vaults now have expanded capacity for Basic and Premium subscribers! · The Bank Heist and You!